The 1930 London Naval Treaty limited the number of destroyers that Japan could have, so the IJN developed ships that weighed less than 600 tons, but which carried almost as much firepower as a conventional destroyer. 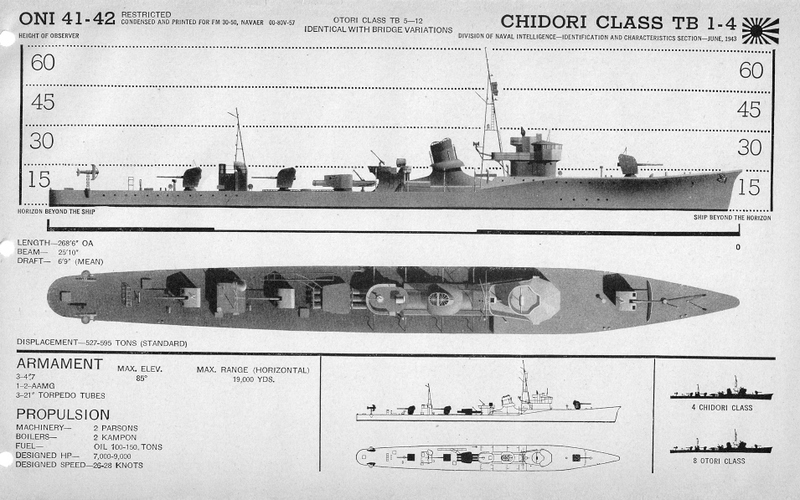 The first of these “torpedo boats on steroids,” the Chidori, was launched in 1933. In 1934, a sister ship, the Tomozuru, capsized in heavy seas, due to the weight of her armaments. 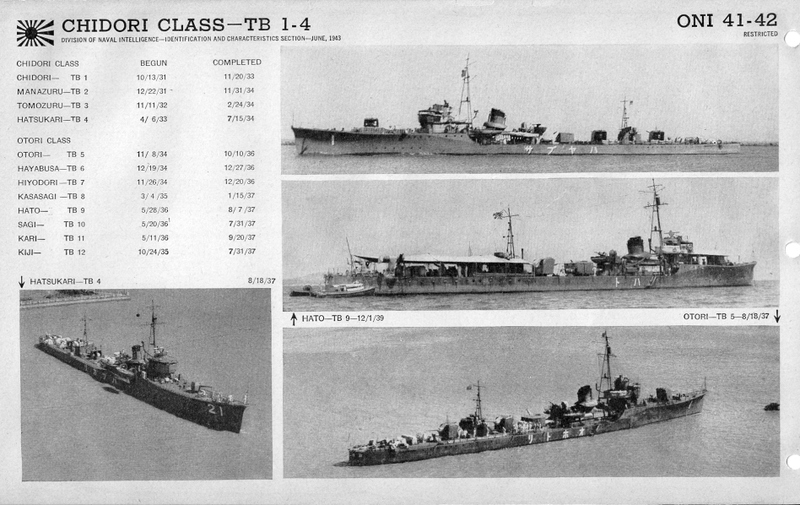 Modifications, including the removing of some armaments followed, and four ships of the type were eventually completed (Chidori, Manazuru, Tomozuru and Hatsukari). The Chidori was sent to the bottom by submarine USS TILEFISH (SS-307), off Honshu, Japan, on Dec. 22, 1944. Chidori had three 12.7cm main guns and four torpedo tubes, with a total displacement just under 600 tons and her maximum speed was approximately 30 knots. Hi, I’m doing a research on Chidori. I obtained a picture album of the sailors who possibly fought and died with Chidori. Do you have any information more about the people on the boat? I would appreciate the any info that you can share with me.